Spirulina are single celled organisms that survive by producing their energy through photosynthesis. These algae are in the class of cyanobacteria because cyano is Greek for blue. They contain chlorophyll (green color) phycocyanins & anthocyanins (blue color) which blend to give them the characteristic blue-green color. Spirulina contains an incredible array of nutrients that make them a functional whole food for sustaining life without the need for other foods. These algae contain pre-digested protein (in the form of amino acids) for quick absorption and high utilization rates. 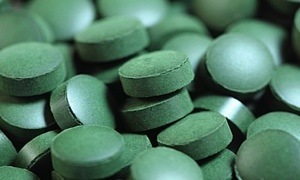 Spirulina contains essential omega-3 fatty acids such as EPA & DHA. Algae, in fact, are the very source that fish, krill and other animals obtain their omega 3’s. Spirulina is a rich source of the tough to find essential omega-6 fat GLA. It also provides nucleic acids (DNA & RNA) that provide a megadose of raw materials for DNA repair. Spirulina is a very rich source of critical B vitamin methylating agents such as B6 and folic acid. Spirulina has an extraordinary array of anti-oxidant phytonutrient anthocyanins. These anthocyanins are renowned for their powerful anti-carcinogenic properties. Spirulina has strong anti-microbial effects that help create balance in the gut flora. It does this by controlling the growth of pathogenic bacteria and yeasts in the digestive system. This is critical for optimal digestion and nutritional absorption. Additionally, it is a very important part of detoxification through the bowel systems. Spirulina is a powerful blood cleanser due to its rich source of chlorophyll. It contains roughly ten times the amount of chlorophyll in green vegetables per volume. Chlorophyll helps build red blood cells in the body and provides an easily absorbable form of magnesium. This combination helps oxygenate the blood stream and removes organic toxins. Spirulina is very rich in carotenoid anti-oxidants. It has 10 times the amount of beta carotene (a form of vitamin A) per volume as carrots. Spirulina is also loaded with zeaxanthin and lutein. These antioxidants are extremely important for good vision and overall eye health. Spirulina contains polysaccharides that act to improve the functional productivity of the bone marrow, thymus and spleen cells. Phycocyanin and allophycocyanin, which help to form the blue color within spirulina (along with anthocyanins), have been shown to increase white blood cell counts. Spirulina is also the world’s best source of the anti-oxidant powerhouse superoxide dismutase (SOD). The superoxide molecule is one of the most tissue damaging substances within the body. SOD is a biological adaptation specifically designed to destroy the superoxide radical and to protect against any subsequent tissue damage. Inadequate superoxide dismutase formation leads to accelerated aging and tissue degeneration. The combination of SOD and carotenoids within spirulina make it very good for skin care. It is remarkable for improving aging spots, eczema, acne, & rashes. This combination also dramatically improves eye health. Individuals with glaucoma, cataracts, & poor vision should be sure to consume spirulina regularly. 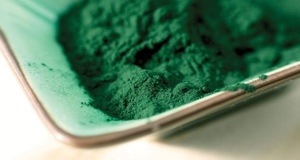 I have read above blog on Superfood Power of Spirulina its very nice blog.I like Spirulina. Spirulina is the world’s best source of the anti-oxidant powerhouse superoxide dismutase (SOD).